Court yard Entry. Semi-custom home you have been waiting for! 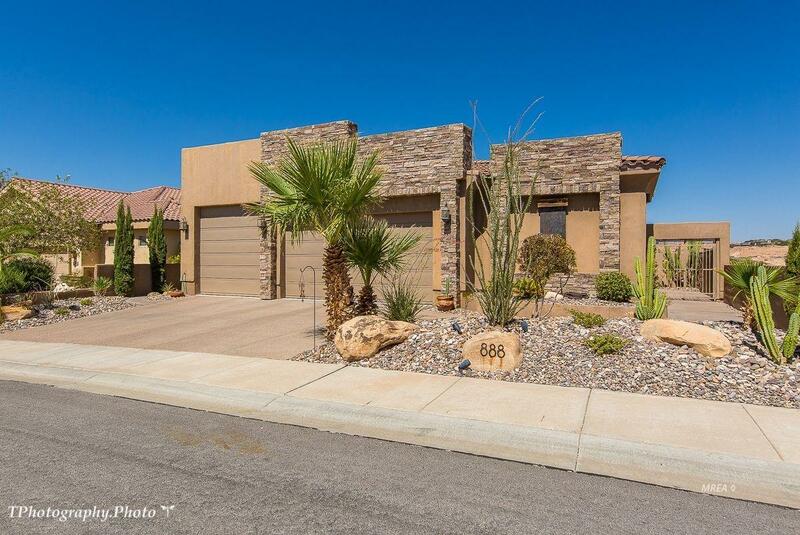 2 Spacious Bedrooms, 2 GREAT ROOMS with fireplace and Entertainment Bar, Large Spacious KITCHEN Island, 3Full Baths, Insulated 3 car, One Side is 12" feet high and 23 ft deep for your RV and the other is 20x20, all Martin Garage Doors with Dark, beautiful Built-in cabinets with Wine Cabinet feature. Stainless Appliances. 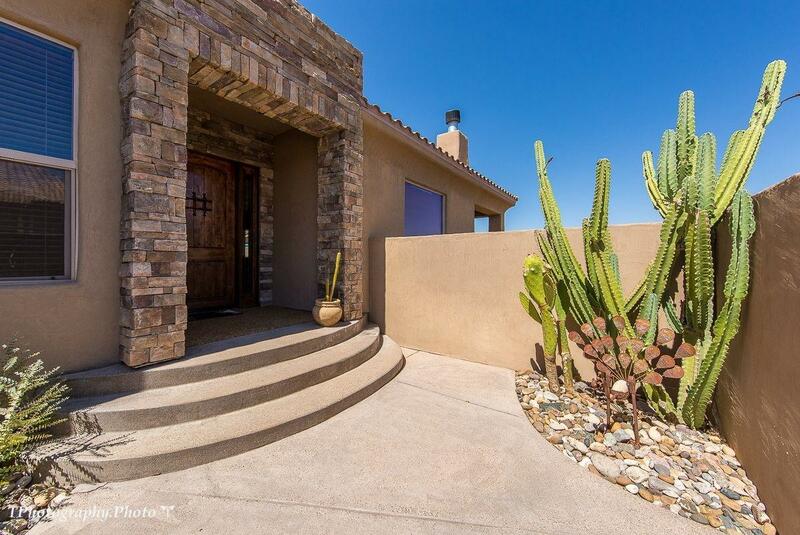 This home features Custom hard wood floors and doors through the home, with surround sound in and out side patio area. It also has build in closet organizer's in every closet. Contemporary Master Bath features a Walk-in Shower and Dual Sinks. Great back yard patio area with your own SWIMMING POOL and cover. Deck finis , Built in Outdoor BBQ AND FRIDGE. 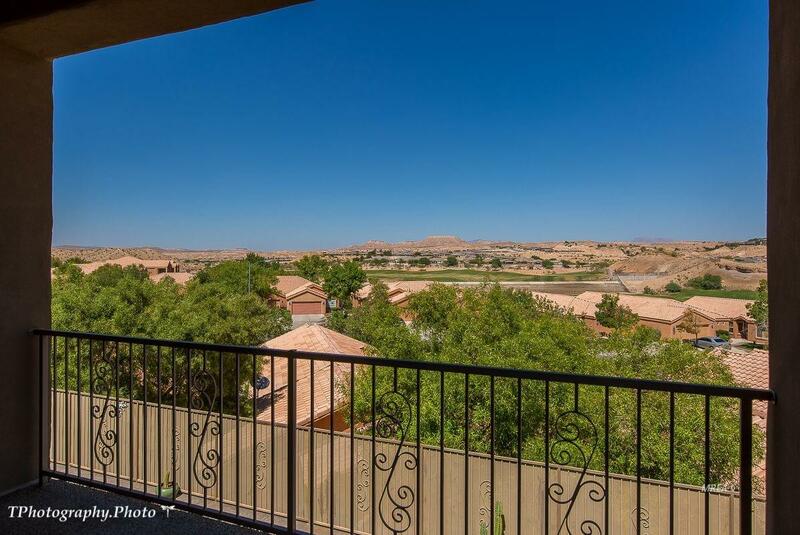 This home is located from a walking distance to the Oasis Golf/Clubhouse. Lovingly maintained with a fabulous layout. Living room has large windows with beautiful views. Kitchen features an island, with granite counter tops and stainless steal appliances. Lower level has a great spacious Great Room and Theater room,. 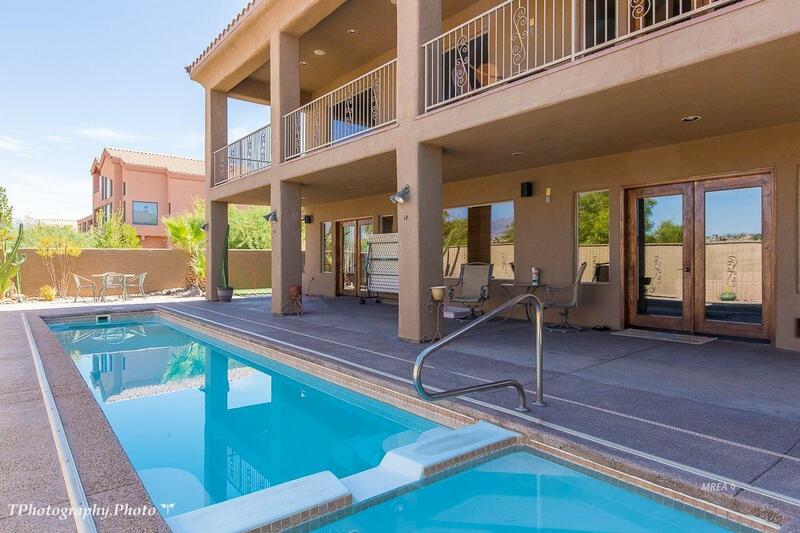 Low HOA gives you use to Mesquite Vista's Clubhouse and Swimming Pool and discounted Golf Rates. Listing provided courtesy of Cindy Risinger of Re/Max Ridge Realty.